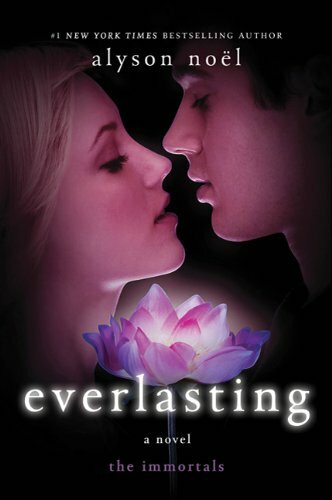 Everlasting by Alyson Noel – Book Trailer & Book Giveaway!! Hello Ever fans!! The moment you’ve all been waiting for is almost here!! Available June 7th from St. Martin’s Press is the final book in Alyson Noel’s beloved Immortals Series, ‘Everlasting (Immortals)‘! And guess what!? In celebration of the release of ‘Everlasting’ the publisher is giving away one copy of the book Everlasting to one of my lucky readers. How do you win it? Just leave a comment below, by Friday June 10th 9pm EST, and I will randomly select a winner. The winner will be contacted and will have 24hrs to respond with a mailing address. If the first winner does not respond, another will be drawn (and again, only 24hrs to respond). I need to have the winner’s information sent to the publisher by Monday June 13th, so if you are picked, do not delay or you will lose your chance. Contest open to US or Canadian mailing address only. I love your site here, especially your book lists and your recommendations! I found your site like alot of others when I finished the Twilight Series:) Now I am addicted to these books and have been acquiring many by some of the authors you have recommended! I am soooo addicted to your site!!! Pick me!!! Wow! Just commenting? This is great! I love this series. Looking forward to reading this book. Amazing series. Read all the books up till this one. Sure it will be as awesome as they were. Thanks! and thank you all for commenting!